Life, writing and the pursuit of wholeness. So here, I am picturing the reading of the will, and a house slave in the corner thinking, “Upon her death, huh?” and Martha thinking, “That’s terrific, George. Thank you so much…” and out loud saying, “No worries, folks! Freedom for everyone! No waiting!” I had to re-record that one because I got the giggles. Makes you wonder how often Martha had to help George out with practical thinking during the presidency. We’ll never know. So while it isn’t parasailing, or a night at the comedy club, this volunteer gig has its moments. Besides, where else would I get to use words like “sobriquet” AND hang out with the nicest state employees in Minnesota? Related Post: Reading, or How This All Started. 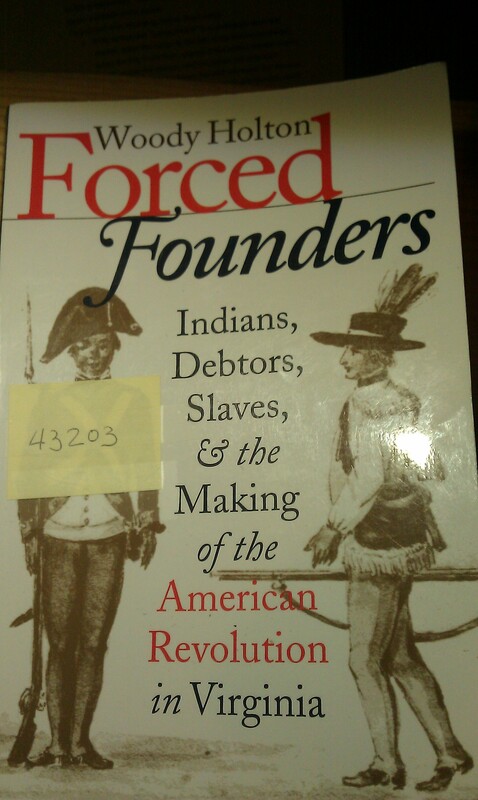 This entry was posted in Books, Good Behavior, Humor, Uncategorized and tagged American, Forced Founders, history, reading, State Services for the Blind, Woody Holton on January 11, 2012 by lynnettedobberpuhl. I am sorry I haven’t been around for a few days. I have been in Canada. In the 1960’s. In fact, part of me is still there because I am about 200 pages from the end of the way the crow flies, by Ann-Marie MacDonald. I could say a lot about the book, the author’s amazing use of language and the way she gets so completely inside the heads of her characters and her reader, but until I get to the very end, I hesitate to say more about it. So I am going to stick with a little problem I have: gluttony. Yes, yes, gluttony with chocolate, gluttony with TV marathons of Dr. Who and Project Runway, but our topic here today is book gluttony. I own stacks of books I haven’t read, and my (barnes & noble) nook is loaded with many more. Even with all those waiting for me, I still seek out bookstores and the library (LOVE the library!) for more, more, more. But that isn’t the real problem. The real problem is that I always start a book thinking that I am a normal person who can read a few chapters, decide if I like it, set it aside and get stuff done, then return to it if I like it enough. I am not a normal person. Even a pretty disappointing book can pull me from my real life and bury me. I am the nut without insight who thinks, “Just a few pages, what can be the harm?” until my husband comes home eight hours later to find me mortified with the lunch AND the breakfast dishes still strewn about, no idea of dinner, and quite possibly still in my jammies. To avoid this happening, I turn to evening reading, which all too frequently becomes reading into the wee hours, which results the next day in sluggish reflexes, sluggish thinking, and probably more dishes on the counter. I am a binge reader, able to go days, even a week or more without a book, but once one is opened I’m a goner. Even if I can force myself to put a marker between the pages and attempt to interact with my family, it is a sham. It might look like I am there, talking, cooking, helping build a deck, but that is just a shell in my clothing, walking around with the minimum consciousness needed to function. The rest of my brain is a dog straining against the leash, panting to get back to that intoxicating word-kibble. I try to justify my habit. I claim that carefully reading a variety of works helps me to become a better writer and I believe this is true. I just don’t think that all of the reading I get swept away with is helpful. Some of it is utter crap. I have a good life–strike that–I have a great life. Why my great life doesn’t tether me more tightly than a half-assed plot and a handful of two-dimensional characters is a great mystery to me. It hints of a character flaw. So in the interest of continuous self-improvement, I am determined to leave my unfinished book where it is until the errands have been run, the to-do list completed, the job boards have been scanned and dinner and dishes taken care of. But my thoughts creep back to the protagonist…Focus! Eye on the prize! Except this book isn’t crap at all, in fact reading it might make me a better person…Shake it off! You can do this! Right. Yes. I can do this and it will be better for all involved. I can become a better person by reading later. Now, I need to become a better person by not reading. My name is Lynnette and I am a Bibliomaniac. Thank you for listening and wish me luck. This entry was posted in Books, Humor, Uncategorized, writing and tagged addiction, barnes & noble, books, Dr. Who, nook, Project Runway, reading, the way the crow flies on August 22, 2011 by lynnettedobberpuhl. Enter your email address to subscribe to this blog and receive notifications of new posts by email. And if you like it that much, tell your friends! Wha’ chu talkin’ about, Willis?